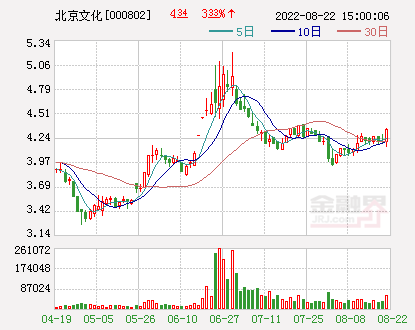 This Spring Festival of the Year of the Pig should have been a happy and joyful day, but a shareholder of a listed company was unhappy and stepped on the thunder. On the evening of February 5, the Jiangxi Provincial Center for Disease Control and Prevention found that the intravenous immunoglobulin (batch number: 20180610Z) produced by Shanghai Xinxing Pharmaceutical Co., Ltd. was positive for HIV antibodies. According to public information, Shanghai Xinxing Pharmaceutical Co., Ltd. is a national blood products designated production enterprise, mainly engaged in the production and sales of blood products.Chinese medicineHealth Industry Co., Ltd. (hereinafter referred to as China Pharmaceuticals) Holdings Management. The latest announcement of China Pharmaceuticals stated that the company holds a 51% stake in Shanghai Xinxing and was included in the consolidated statement of listed companies in June 2018. The company has no guarantee for Shanghai Xinxing. Shanghai's emerging business scale and profits account for a small proportion of the company and have less impact on the company. As of the third quarter of last year, the number of shareholders of China Pharmaceuticals was nearly 50,000. According to the official website of Xinxing Pharmaceutical: Shanghai Xinxing Pharmaceutical Co., Ltd. is a national blood products designated production enterprise, mainly engaged in the production and sales of blood products. It is a high-tech export-oriented bio-pharmaceutical enterprise integrating scientific research, production and sales. At present, Xinxing Pharmaceutical is controlled by the listed company China Pharmaceutical (600056). The company is a national blood products designated production enterprise, mainly engaged in the production and sales of blood products. On February 5th, the first day of the New Year, a document circulating on the Internet showed that the General Office of the National Health and Health Commission issued a Notice on Suspension of the Relevant Batches of Shanghai Xinxing Pharmaceutical Co., Ltd. for intravenous injection of human immunoglobulin. According to the notice, the National Health and Health Commission received a report from the Jiangxi Provincial Health and Health Commission, and the Jiangxi Provincial Health and Health Commission CDC detected that Shanghai New Medicine Co., Ltd. was intravenously injected with immunoglobulin (batch number: 20180610Z). In response, the notice required the local authorities to immediately suspend the use of the batch of intravenous immunoglobulin produced by Shanghai Xinxing Company and seal the product. The medical institution that purchases the batch number of the product should immediately report it and monitor the patients who have used the problem batch number to closely observe the changes in the condition. At the same time, cooperate with drug regulatory agencies to do relevant disposal work. The Shanghai Food and Drug Inspection Institute issued the conclusion that the batch of products was “the batch of products meets the requirements and is recommended to be issued”. The product has issued a total of 12,226 bottles, the specification is 2.5G/50ml/bottle, and the shelf life is until June 8, 2021. The inspection number is SH201800916. How much influence does the stock price of listed companies have? A shares will open on Monday, and shareholders will definitely want to know that the impact of this incident on the company is not big, to see the latest announcement. On the evening of February 10th, China Pharmaceuticals announced the suspension of Shanghai's emerging batch-related drugs. It said that it has requested Shanghai Xinxing to inform the relevant units to stop selling, using, sealing and recall the problem batch products in the first time, requiring Shanghai Xinxing to stop production. At present, the company holds a 51% stake in Shanghai Xinxing and was included in the consolidated statement of listed companies in June 2018. The company has no guarantee for Shanghai Xinxing. Shanghai's emerging business scale and profits account for a small proportion of the company and have less impact on the company. Human immunoglobulin is a blood product prepared from human plasma and is mainly used for the treatment of critically ill and immunodeficient patients. The batch of intravenous immunoglobulin (batch number: 20180610Z) was approved by Shanghai Food and Drug Inspection Institute on October 12, 2018, totaling 12,226 bottles, the specification is 5%, 2.5g/50ml/bottle, and the shelf life is 2021. June 8th. (1) On February 6, 2019, the National Health and Health Commission issued the "Response to the "Injection of Human Immunoglobulin AIDS Antibody Positive" Issues: The first time to send a working group to the local guidance work, and convene experts Analyze the relevant issues. According to international relevant literature reports, combined with the characteristics of the production process of the drug inactivated virus and the PH value of the product, experts believe that the risk of HIV infection in patients using the drug is very low. (II) On February 6, 2019, the State Food and Drug Administration promulgated the “Preliminary Investigation of Shanghai's Emerging Related Products”: Shanghai, the detection of AIDS, hepatitis B and hepatitis C virus in the batch of human immunoglobulins The results were all negative; Jiang West faced the patient's HIV nucleic acid test and the result was negative. At present, the company holds a 51% stake in Shanghai Xinxing and was included in the consolidated statement of listed companies in June 2018. The company has no guarantee for Shanghai Xinxing. The net profit was RMB 71.83 million, and the net profit attributable to its parent company was RMB 36.63 million, accounting for 2.95% of the total net profit attributable to shareholders of the listed company. 4. How does the company respond? Shanghai Xinxing informed relevant units to stop selling, using, sealing and recalling problem batch products, and to conduct a comprehensive inventory of the use of problem batch products. Shanghai Xinxing has completely stopped production and comprehensively investigated possible problems in various important links such as raw material source, production and quality control of batch products. Once a violation is discovered, the company will seriously pursue the responsibility of the relevant personnel. Shanghai Xinxing immediately carried out self-examination and fully cooperated with the verification work of relevant departments; it was necessary to ensure the authenticity and integrity of the original records of production and quality control. The company set up a special working group to immediately enter Shanghai, to understand the specific situation and carry out on-site supervision. On February 6, the State Food and Drug Administration issued an announcement and immediately requested the Shanghai Food and Drug Administration to conduct an on-site inspection of Shanghai Xinxing, organize the inspection of the same batch of raw material plasma production products and adjacent batch products, and dispatched the supervision inspection team to arrive. Shanghai and Jiangxi urged and guided local drug supervision departments to carry out investigation and disposal work. The State Food and Drug Administration and the National Health and Health Commission jointly issued a notice requesting the immediate suspension of the use of related products produced by the enterprise and timely taking control measures such as storage. In Shanghai, the AIDS, hepatitis B, and hepatitis C virus nucleic acid tests were performed on the batch of human immunoglobulins, and the results were all negative; Jiang West faced the patient's HIV nucleic acid test and the result was negative. Relevant work such as on-site verification of enterprises is being further carried out. Nearly 50,000 shareholders have no sleep: Chinese medicine has accidentally stepped on the thunder. The latest response came.